In the summer of 2016, the Jackson family reached its wit’s end: Their home in Battle Ground, Wash., a little over 10 years old, experienced a third pipe leak in just a couple of years. The first failure appeared as a leak in the PEX piping under dishwasher, which destroyed much of the kitchen and was trickling into the basement. The insurance company covered what would become a five-month renovation. New PEX pipe replaced the failed PEX. The second failure revealed itself through water collecting in the basement. A search showed that the leak was not at the dishwasher this time; plumbers believed they found it near the garage, this time the suggested culprit was a nail through the pipe. But during that second repair, yet another failure was discovered.The homeowners were at a loss. “Someone would try to fix something and then there would be another one and another one,” recalls Rick Jackson, M.D. Hot water piping installed in the Jackson home in 2005 reveals chlorine degradation. Hot water piping installed in the Jackson home in 2014 revealed chlorine degradation just two years later. At some point during the process, Dr. Jackson mentioned the problems to Jeff Ramey, a piping systems consultant for Lubrizol, who went to the Jackson home to investigate. What he eventually found was something more concerning than one-off leaks caused by a piece of faulty pipe or human error, but rather widespread cracks and breakdown in the PEX pipes. To avoid more leaks and water damage in the future, the Jacksons opted to repipe their entire home. A crew of three from Waterways Plumbing, based in nearby Vancouver, Wash., performed the repipe over the course of a day. Upon complete removal of the damaged PEX system, there was evidence of breakdown along the hot water lines of the PEX pipe, revealed in short, discolored cracks and ink permeating through the pipe. Even the new pipe was showing damage after just two years. 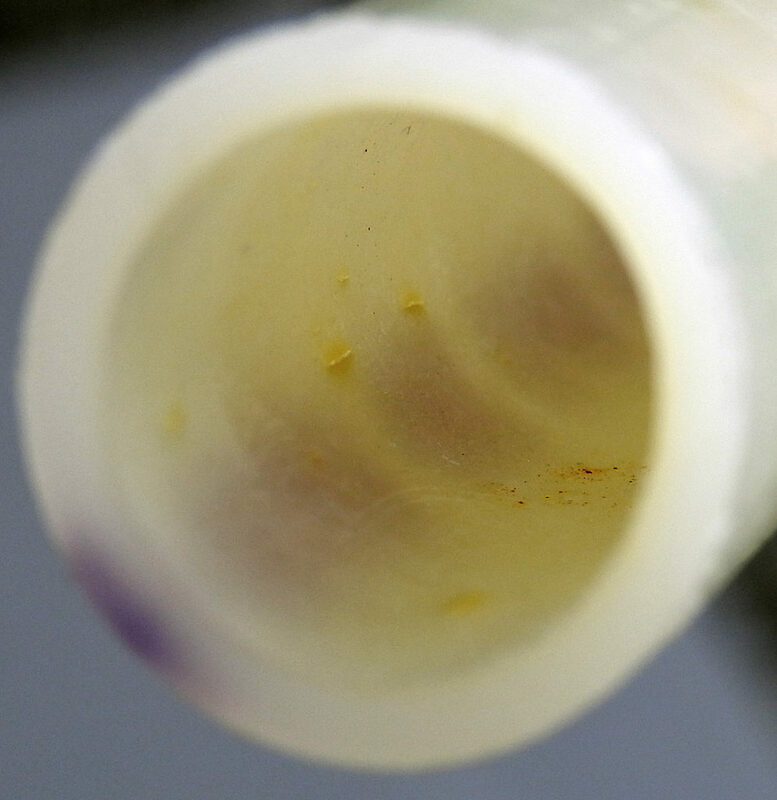 Lab testing revealed that the failures of the PEX were consistent with chlorine degradation. Chlorine degradation of PEX occurs when the chlorine in drinking water, which is added to keep it clean and safe for human consumption, attacks the PEX piping, breaking down molecular bonds, resulting in micro-cracks that gradually expand to the point of a pipe failure. Because of this, PEX piping includes chlorine-neutralizing chemicals that are intended to extend the life of the pipe. While PEX is tested for resistance to chlorine, there are several factors that increase the risk of chlorine failures in PEX, including elevated temperatures and pressures, exposure to UV rays from the sun or fluorescent lights, and local water conditions. While the exact combination of water conditions, UV exposure, temperature, and pressure are not immediately clear, it is highly likely that local conditions would have continued to cause failures in the PEX pipe at the Jackson home had the system not been fully replaced. The Waterways crew replaced the PEX piping system with FlowGuard Gold CPVC. Compatible with high temperatures and all levels and methods of chlorination used to ensure clean, safe drinking water, FlowGuard Gold provided the Jacksons with the assurance that the days of PEX pipe leaks and repairs are firmly in the past.